Get To Know Our Therapists: Why Wellspring Centre? Last week we asked our massage therapists to share a massage success story, and the week before we asked them why they chose a career in massage. 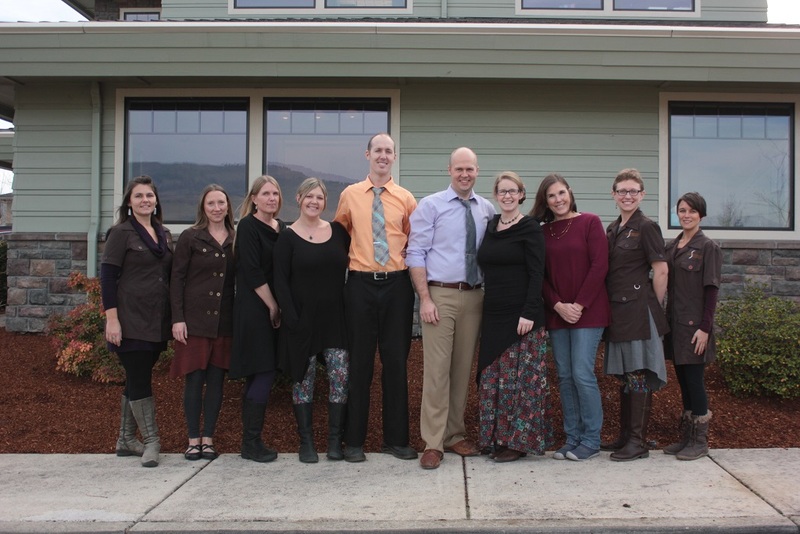 This week, recognizing that there are many ways and many places to be a massage therapist in the Rogue Valley, we wanted to know why Kasey & Kaijah have chosen to work at Wellspring Centre. At Wellspring Centre, our collective focus is on each individual’s whole-being healing. I think you can feel that when you walk in the door. You’re coming in to care, not just with one person, but with an established team geared toward supporting your healing process, with a recognition that that process can evolve, and as it does, you as the patient can end up needing and receiving the benefits of any of the practitioners within the center. You get the unique wisdom not only of each individual practitioner, but also of the wisdom and skill of the collective, which provides more than any one person could provide alone. I can refer my clients to care with the chiropractors, or to Kaijah if there’s a particular skill of hers that might benefit them. I can suggest that a patient talk to one of the doctors to see if he feels that a prescription for one of Lo’s healing modalities would be helpful if I see an issue that I think might benefit from those therapies. There’s so many resources here for my clients, and a team committed to getting them connected with whichever of those resources they need to experience optimal healing and well-being. I work at Wellspring Centre because of the amazing support system that we have created. This support system is one that I utilize for my own healthcare, so I trust it is one that will benefit my clients. We have created an environment in which we work to practice what we advise our clients to do in terms of self-care. Dr. March and Dr. Weeda are both caring and skilled practitioners who support all the office staff by giving us adjustments on a regular basis. Everyone in the office also gets regular massage. I see Kasey as frequently as I can! Lo and Maggie look out for all of us as well as our clients making sure that scheduling needs can be met. They work around my busy schedule all the time to get me the care that I need. Lo’s therapies recently helped relieve an acute injury almost instantly. Alison our office manage provides support in a multitude of ways and makes sure that we all get the time off we need to rejuvenate and show up for our clients everyday ready to be the best providers that we can be. I feel extremely fortunate to work at Wellspring Centre.